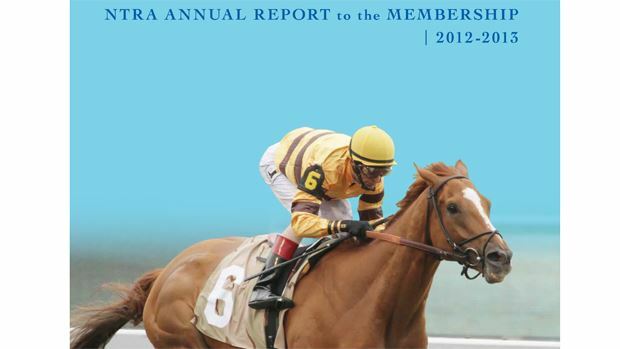 The National Thoroughbred Racing Association (NTRA) today released its “Annual Report to the Membership” for 2012-13. The 28-page report (available at /media/7692918/13-260-047%20NTRA%2012-13%20Annual%20Report_12.pdf) includes the organization’s audited financial statements. For Fiscal Year 2013, the NTRA’s net revenue was $66,850, which represents a $665,777 improvement over the prior year period net loss of $598,927. The Annual Report also includes sections on the NTRA Safety and Integrity Alliance, federal legislative advocacy, NTRA Advantage, NTRA Communications, the Eclipse Awards and the Daily Racing Form/NTRA National Handicapping Championship presented by Sovereign Stable and Treasure Island Las Vegas. The NTRA is a broad-based coalition of horse racing interests consisting of leading Thoroughbred racetracks, owners, breeders, trainers, horseplayers and affiliated horseracing associations, charged with increasing the popularity of horseracing and improving economic conditions for industry participants. The NTRA has offices in Lexington, Ky., and New York City. NTRA press releases appear on the NTRA web site, NTRA.com.